This product catalog is a representation of the products we carry, it is not a full list of our inventory. If there is something you cannot find here, please stop by or give us a call. We just may have what you're looking for! 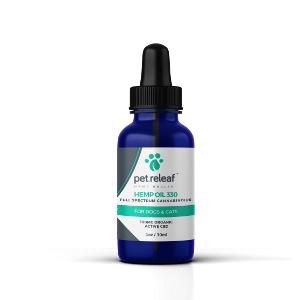 Pet Releaf full spectrum CBD hemp oil 330 is a more concentrated form of CBD oil and intended for those dogs and cats that need a higher potency product. Our CBD hemp oil 330 is grown at the largest USDA certified organic hemp farm in the United States. We planted a specialized proprietary strain, PR-33, grown specifically with pets in mind. Since we use the entire plant (seeds and stalk), our CBD hemp oil provides all of the benefits of CBD while also providing the multitude of additional benefits provided by the terpenes and flavonoids. © 2019 Canine Carousel Pet Boutique & Salon. All rights reserved.